Exclusive:Charity's Fake Link to Jackson? Written by CBS News investigative producer Laura Strickler. CBS News has learned that a charity claiming to be affiliated with Michael Jackson has no connection to his estate. In the days after Michael Jackson's death there were numerous news references to the ongoing charitable work of his "Heal the World Foundation". However Jackson's charity officially closed its doors in 2004. A new charity also named the "Heal the World Foundation" leaves the impression it is the same charity but CBS News has discovered it has no connection to the pop star's current estate. The foundation's website has been a magnet for fans searching for a Michael Jackson "charity". In recent weeks the foundation has begun asking for donations from visitors who want to post or read material on the site that is dominated by comments from fans around the world. Records provided by the charity indicate the website received $6,191.57 in donations during the month of July through PayPal. The charity is run by Melissa Johnson who also runs a home health care business for the elderly called "Angels Embrace" run out of the same office in Palm Desert, California. A call to Johnson's home was answered with, "Angels Embrace," by a man who said his name was Chris Johnson. According to state records the current "Heal the World Foundation" started in March 2008. Federal records show the organization received its IRS tax exempt status in January of 2009. In response to questions about the charitable work of the foundation, Johnson told CBS News, "our only actions have been to protect the property of the charity and console the fans and people who want to pay tribute in their own way." Johnson obtained the trademark "Heal the World Foundation" according to the US Trademark Office in October 2008. But a month after Jackson's death she filed for a new trademark, "Michael Jackson Heal the World Foundation". In her application she notes that she wants to provide, "Charitable services, namely, providing a website that enables children of a school district to communicate with a charity of their choice; Computer services, namely, creating an on-line community for registered users to participate in discussions, get feedback from their peers, form virtual communities, and engage in social networking; Hosting of digital content on the Internet." Melissa Johnson also filed three applications to trademark "MJ" in July of 2008 to be used for "athletic apparel," "audio and video recordings", "digital media", "downloadable music", "video games", "toys… talking toys… and toy and novelty face masks" according to the US Patent and Trademark office. But representatives of the Jackson estate say the foundation is not linked, "The Michael Jackson estate has no connection whatsoever to the "Heal the World Foundation" run by Melissa Johnson," said Terry Fahn, a spokesperson for John Branca, the special administrator of the Jackson estate. Branca has been embroiled in a back and forth debate for the last few weeks with the Jackson family over the estate. A spokesperson for Katherine Jackson's attorney L. Londell McMillan could not confirm or deny a connection to Melissa Johnson. Johnson told CBS she has not been in touch with the Jackson family since his death. 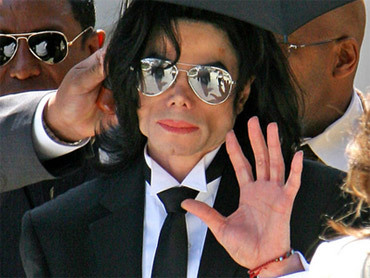 The foundation plays up its connection to Michael Jackson. The charity's Twitter account with 587 followers says, "Heal The World Foundation was started by Pop Star Michael Jackson in 1992. Anyone interested in comitting(sic) themselves to Healing the World is most welcome here". The site notes that following Jackson's London tour he was planning to, "live a long and full life, devoted to [Heal the World Foundation] and serving his God and his fellow man, with his fans leading the way". "The Jackson management that reports to you now is NOT his management staff of many years," said Johnson of the current "Heal the World Foundation" in an email to CBS, "They recently replaced a crew of managers and those people had been working with us for years." Johnson told CBS News that she worked with the firm of Raymone Bain, Jackson's former spokesperson, and particularly with Bain's former partner Van Alexander. But a representative for Bain told CBS News that Bain "never worked with Melissa Johnson or with the Heal the World Foundation." Alexander, who no longer works with Bain, did not respond to messages left requesting comment. The Heal the World Foundation website boasts an exhaustive list of projects related to Michael Jackson: the Michael Jackson Annual Telethon, Michael's Army (of volunteers), the MJ Film Company, a newspaper and publishing company, Kid Care Centers, a Michael Jackson movie, "animal projects" and "Learning Centers". Additional reporting by Faiza Virani in New York. "This is an incredible decision that really defines what the legal standard now is in Kansas," the lead counsel told CBS News. Butina will receive credit for her nine months served. She's been in jail since July 2018. All this boy wanted before brain surgery was Chick-fil-A, but it was Sunday and they were closed. His nurse pulled a few strings and got his favorite food delivered to his hospital room.